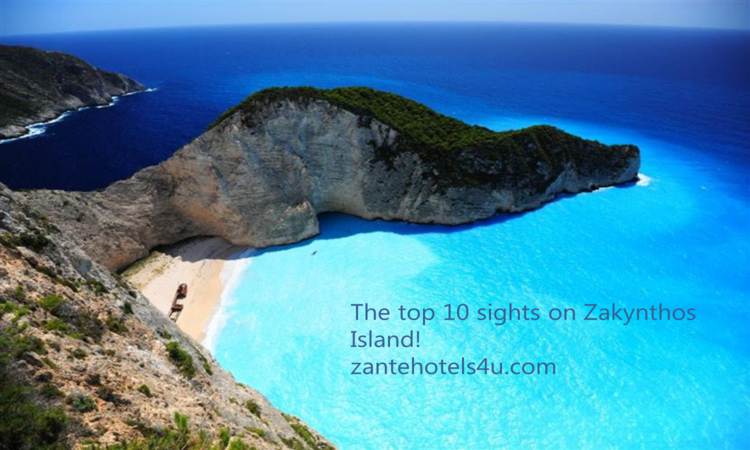 Zakynthos Travel Guide: The top 10 sights on Zakynthos Island! We proudly present you the 10 top zakynthian sights which must definitely be visited during your holiday. Zakynthos is famous for the Navagio beach and the Blue Caves, while many tourists visit the island because they wish to see from close the caretta-caretta turtles. 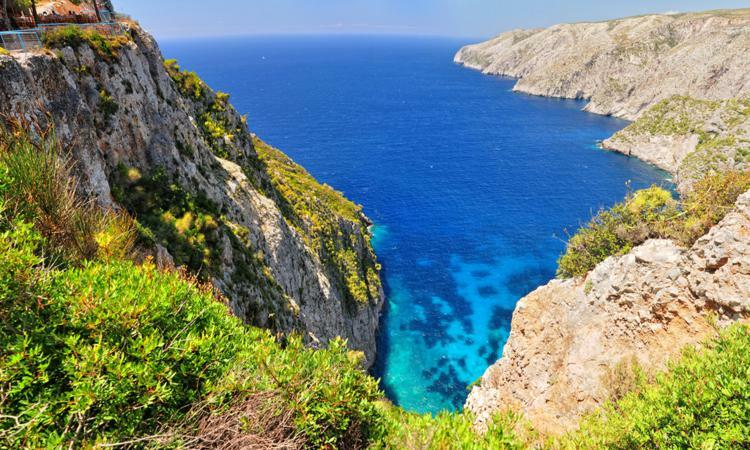 Marathonisi, Bohalli hill, Zakynthos town and the beach of Gerakas are also places which you should not miss to visit. The Navagio is the most famous zakynthian beach and one of the most beautiful beaches all over the world. Navagio is a beach of unique beauty as it combines the dark blue sea water with a rocky scenery and golden sand. The world famous zakynthian sight is one of the most beautiful beaches around the world, having been seen by thousands of tourists. 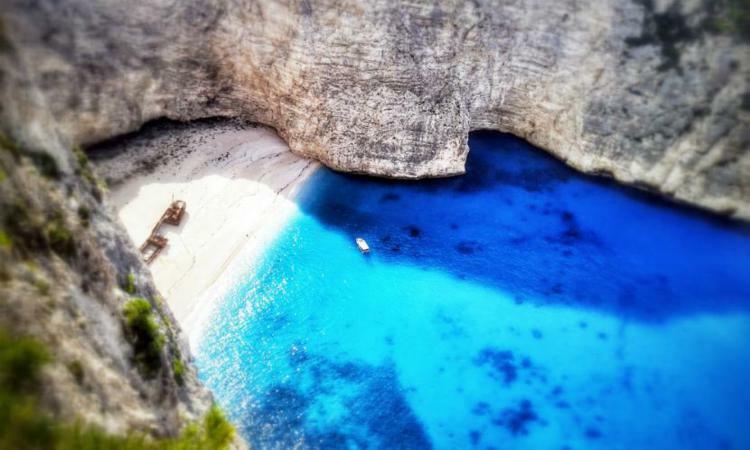 You can visit Navagio beach by boat or see it from above. The panoramic view is breathtaking. 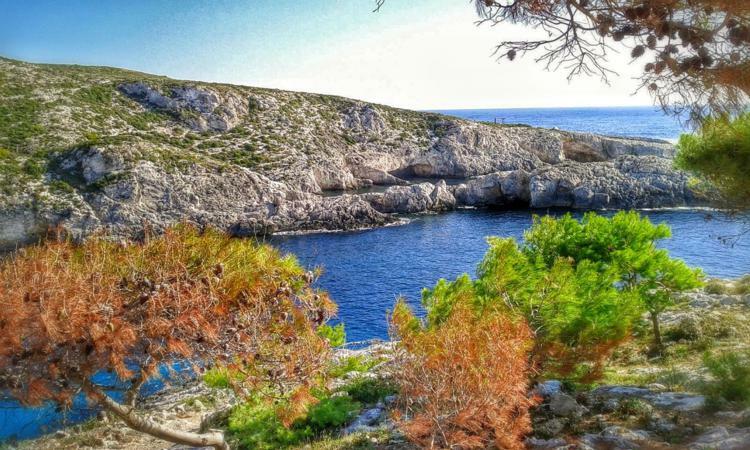 Rocky caves with dark blue sea water, accessible by boat only! A magic location on the north-western part of Zakynthos island with unique dark blue sea water that comes in contrast with the light blue green colour of the area. Especially during the early morning hours the rocks, the bottom of the sea, the caves themselves are " painted" dark blue due to the soft play of the sunlight on the water. The Blue Caves is the ideal location to take pictures and are accessible only by boat. This is a tiny zakynthian island with exotic beauty being visited by the caretta turtles! Marathonisi is a tiny deserted island in Laganas Gulf. It looks like a turtle and therefore it is known as the turtle island. The sand is white and the vegetation is rich. Marathonisi is part of the national marine park and thus protected. It is also preferred by the carettas to lay their eggs there. The sea bottom around Marathonisi is ideal for scuba diving. 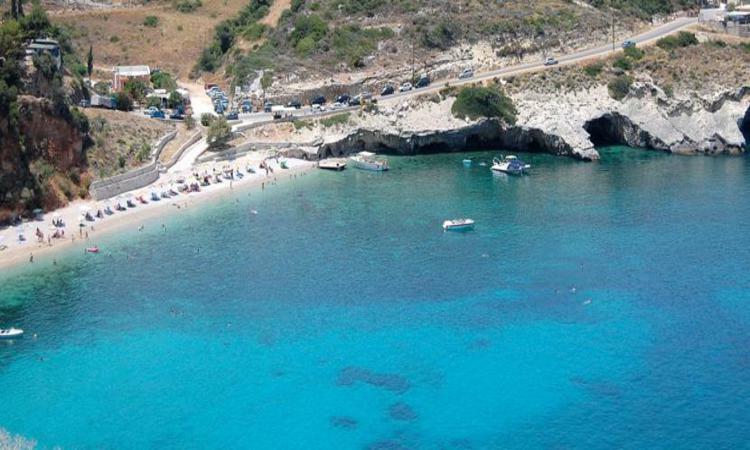 To enjoy this heavenly beautiful island , we suggest you to book the boat trip Caretta-Caretta. Kilometres of sand, exotic beauty, warm, shallow sea water. The carettas lay their eggs here too. 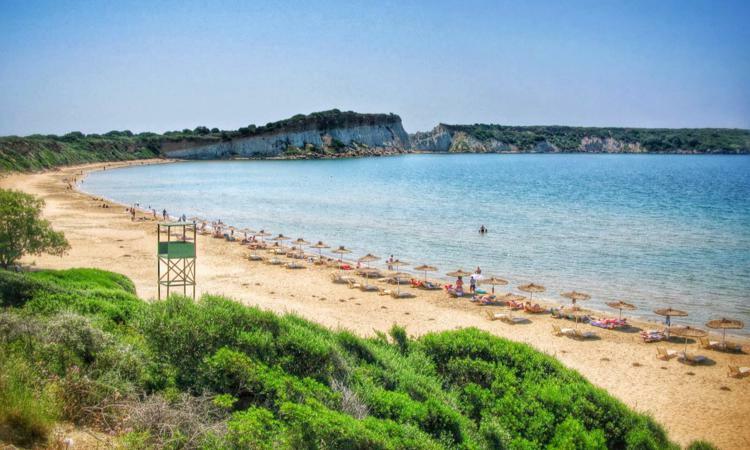 Gerakas beach is located on the south of Zakynthos and is part of the national marine park. The protected carettas lay their their eggs in this beach. There are a few umbrellas and sunbeds. Gerakas is ideal for those who wish to spend their day relaxing in a peaceful beach. Two of the most beautiful beaches of the island! 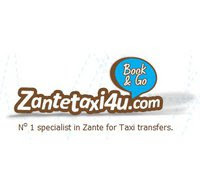 Situated on the north-eastern part of Zakynthos with very clear sea water and picturesque scenery. Both beaches are mainly pebbled while the sea water is crystal but quite deep. The sea water in Xigia beach contains sulfur. There aren't many umbrellas and sunbeds but it is worth while visiting them as their beauty is unique. A unique, rocky beach of wild beauty on the western part of zakynthos island. In Porto Limnionas there is no sand but only rocks. The place is ideal for scuba diving or snorkelling as the bottom of the sea is quite rich. The whole area is of natural, virgin beauty. Porto Limnionas can be visited during a trip on a private boat rental. 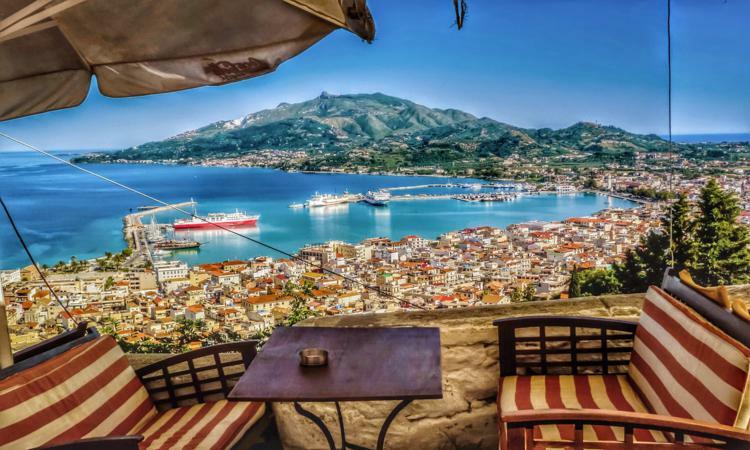 Zakynthos is a busy town with a wide choice of dining or entertainment and a great variety of cultural attractions on offer. 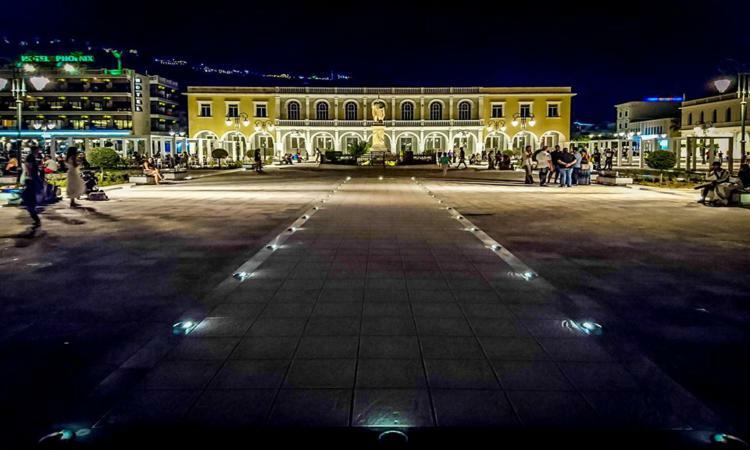 It is worthwhile visiting the Vergiagio Folklore Museum, the statue of Dionysios Solomos in Solomos square, the church of Agios Dionysios (saint Dennis) the protector saint of the island and Saint Markos Square with the Enetician style clock. Bohalli stands above town offering a panoramic view of the town and the port. It is a village on top of the mountain Hill. The view from up there is breathtaking especially during the sunset and night time. 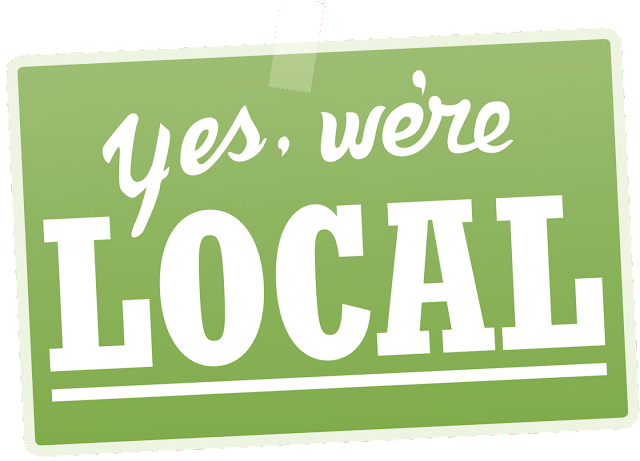 There are cafes, bars and restaurants where you can enjoy a drink, a meal or an ice cream. Do not miss to taste the traditional zakynthian sweet “frigania”. The view from the hight of 300 metres (Kampi is situated on the edge of a cliff) is impressive, especially when the sun sets. A huge cross stands there in honour of the victims during the civil war and a bit further a Mycenaean cemetery is situated. The gulf of Fokia (seal) was named after the seals that come every year in the caves. 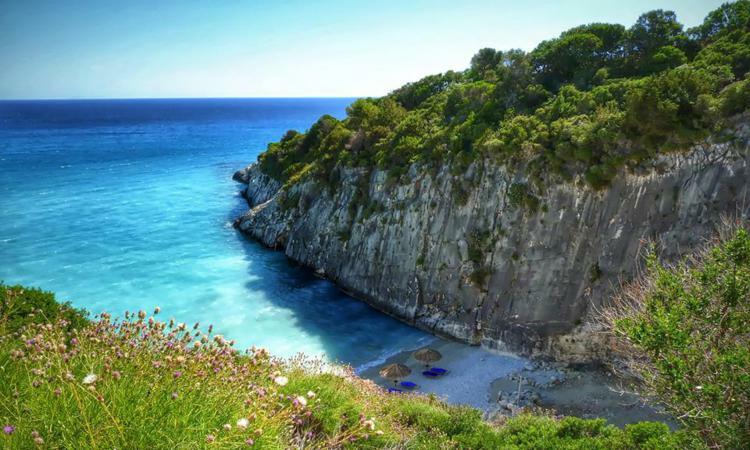 Keri is located on the southern part of Zakynthos! The light house of Keri is a tower 9 metres high. The access is very easy by car. 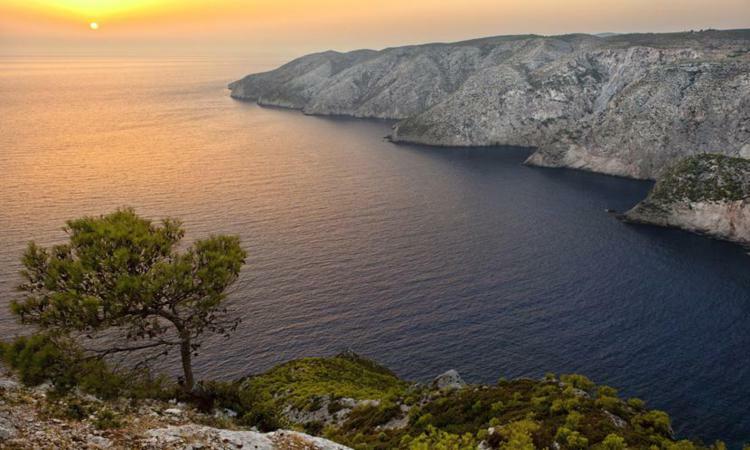 From this point you will enjoy one of the most magical sunsets in the Ionian Islands. In Marathias you will also find the tavern “Votsalo” that serves homemade traditional dishes cooked with local products.